We train students for Commerce Stream in 11th and 12th and coach them for the entrance test after +2 in DU/IP for BMS, BBE, BFIA, BJMC, BCA, BBA, Hotel Management etc. We have produced extraordinary results, and hundreds of students are already enrolled in Delhi University, IP University and IIM Indore and Narsee Monjee. We provide regular classroom programme and crash course as well. 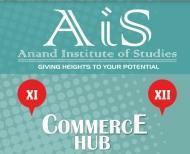 Anand Institute Of Studies conducts classes in OsCommerce. It is located in Shahdara, Delhi. It takes Regular Classes- at the Institute and Online Classes- via online medium.